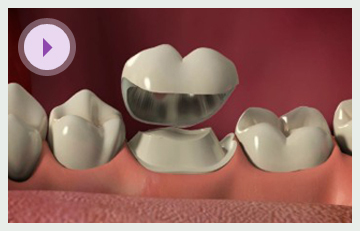 A crown is a restoration which can cover a portion or the entirety of a tooth (please see the section titled Broken teeth in the 'I'm in pain/discomfort' menu for more information regarding crowns). Previously gold and porcelain have been the most popular materials used to construct crowns. However modern materials have been created which have far better aesthetics. If you have crowns on your teeth a simple way to make large improvements to your smile may be to change older style crowns for newer and more aesthetically pleasing types of crowns. Another common issue which may arise is that when the gum adjacent to the edge of a crown recedes the margin can be exposed which can be unsightly. 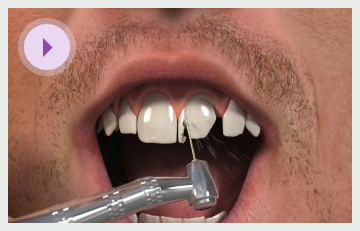 Changing crowns with exposed margins at the front of the mouth can totally transform a smile.